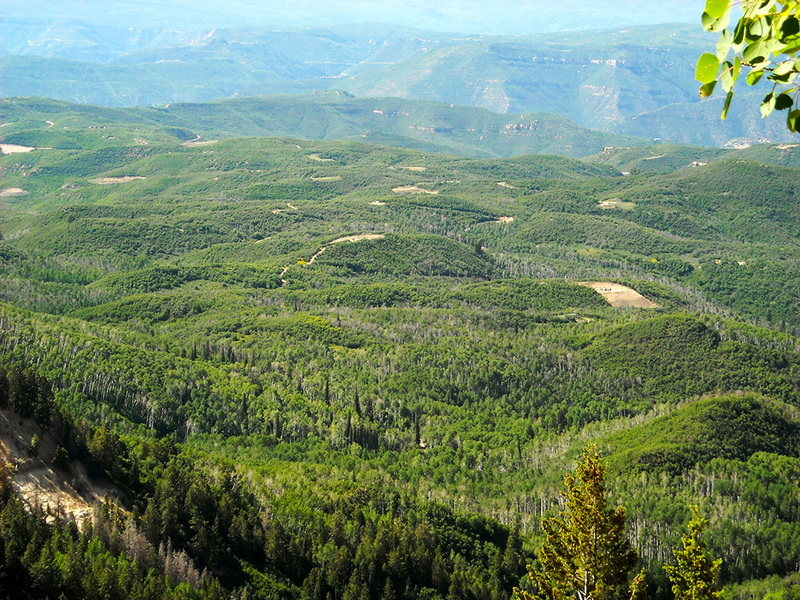 Update - June 8, 2017: The Trump administration pushes ahead with a plan to approve Arch Coal’s proposal to lease 1,700 acres of roadless wildlands in the Gunnison National Forest for mining 17 million tons of coal. The plan, addressed in a draft environmental impact study, would greenlight exploratory drilling and road construction to expand the West Elk coal mine. Update, 11/19/15: The Forest Service announced it would move forward on a proposal to re-open a loophole in the Roadless Rule for national forests in Colorado to enable Arch Coal to scrape roads and well pads on nearly 20,000 acres of otherwise-protected, publicly-owned National Forest and wildlife habitat in Colorado’s North Fork Valley. See photos of the impact of underground coal mining on forests. Colorado's Sunset Roadless Area is a place of immense beauty, boasting prime wildlife habitat and opportunities for hikers to enjoy serene, wild terrain far from the madding crowds. But it was also, with the Forest Service's and Bureau of Land Management's (BLM's) blessing, in the crosshairs of fossil fuel development. After a long-running battle to defend it in court, the Sunset Roadless Area gained a reprieve, thanks to a U.S. District Court decision in 2014 overturning the agencies’ approval of Arch Coal’s plans to bulldoze through 1,700 acres of pristine public land for an expansion of the West Elk mine. Mount Gunnison perched atop the Sunset Roadless Area. 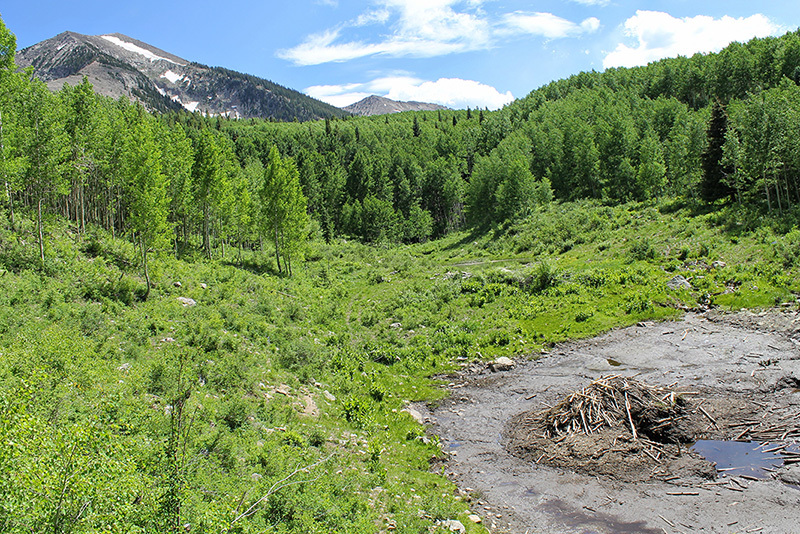 The aspen forests on the right would have been scarred by six miles of road and nearly 50 methane drainage well pads if the lease expansion had gone forward. 1The forests next to Colorado's iconic West Elk Wilderness Area provide habitat for the threatened lynx, support the Sunset Trail, a backcountry hiking and horseback trail, and provide a valuable linkage between the West Elk Wilderness Area and forests in the watershed of the North Fork of the Gunnison River. 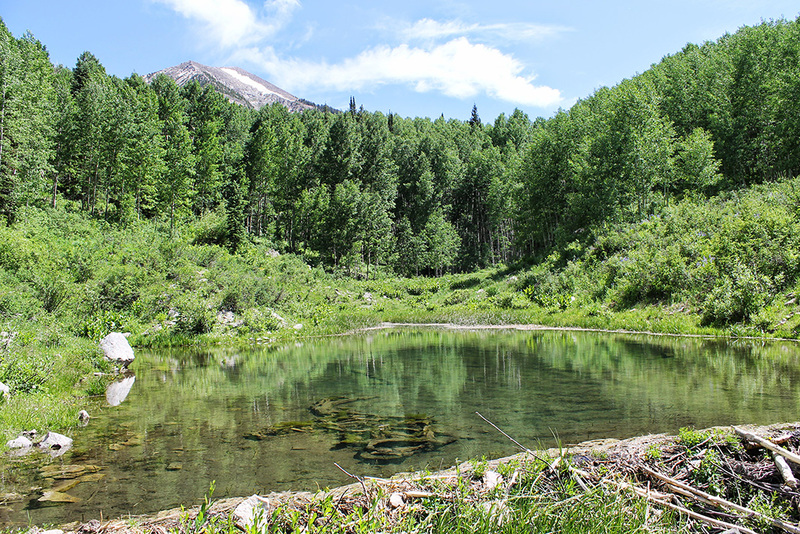 The West Elk Wilderness encompasses the steep, rocky, inhospitable ridges of Mount Gunnison, but it doesn't include the more gentle terrain and lush forests on the flanks. Sadly, the most important wildlife habitat is unprotected. 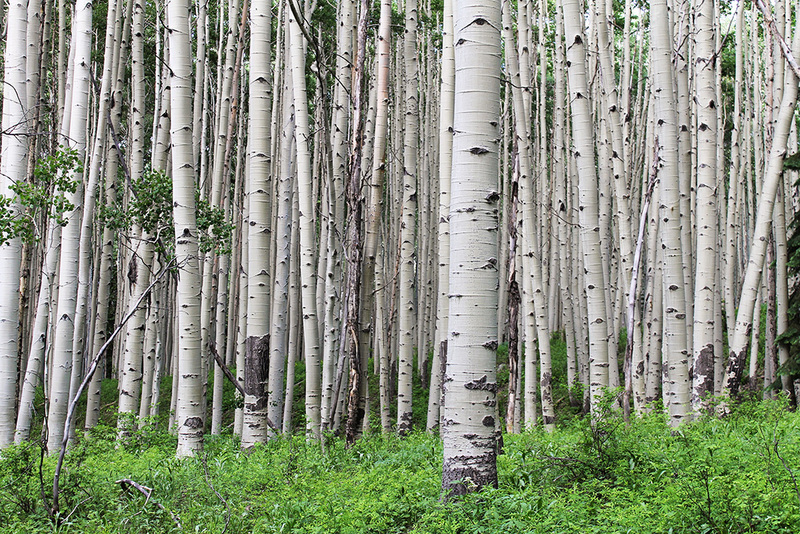 A thicket of aspen in the Sunset Roadless Area. 2The Sunset Roadless Area, in contrast to the steep flanks of Mount Gunnison that tower above it, is prime wildlife habitat. This 5,800-acre area within the Gunnison National Forest provides habitat for goshawk, black bear, elk and the imperiled lynx. 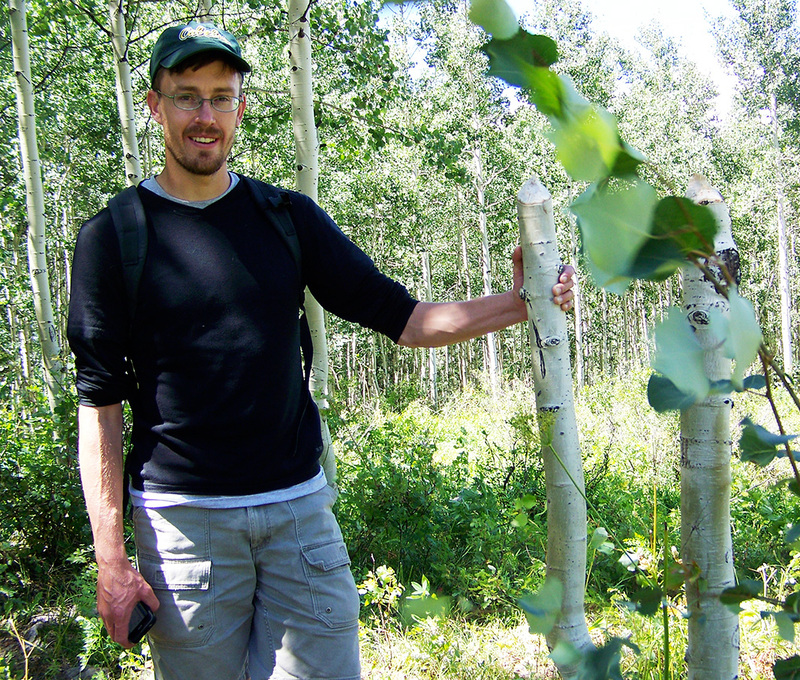 It is home to pristine forests of aspen and giant spruce, beaver lodges and meadows. 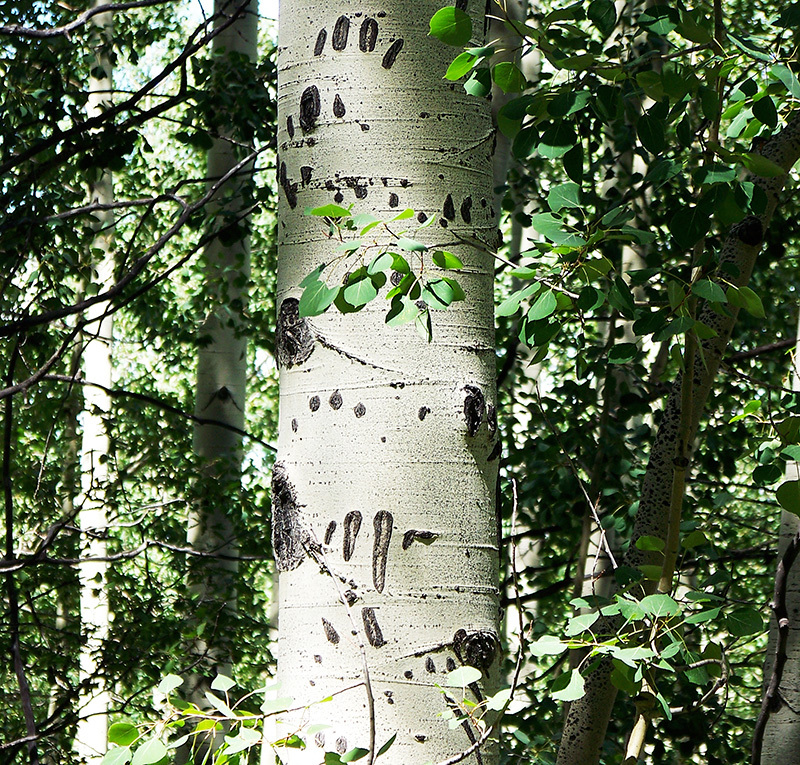 Observant visitors can tell that black bears are active here by the tell-tale signs of white aspen bark scarred by the claw marks of climbing cubs. Mount Gunnison in the West Elk Wilderness towers over a beaver pond in the Sunset Roadless Area. 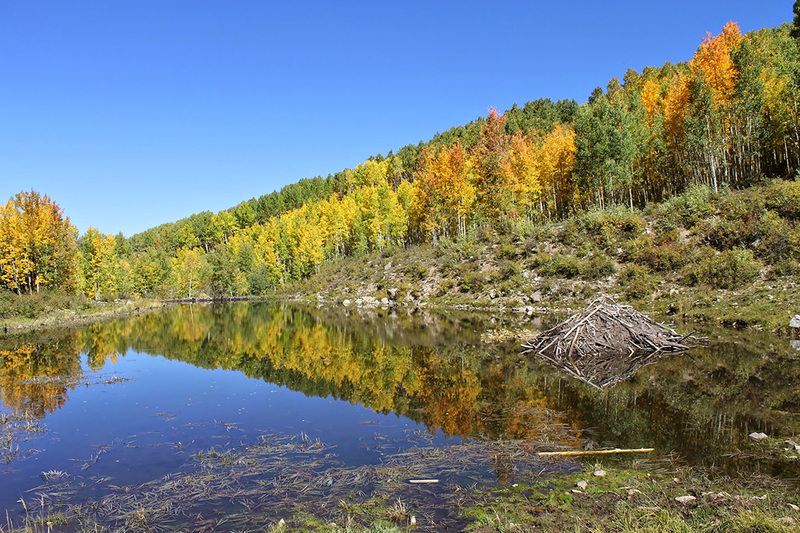 3The Sunset Roadless Area in western Colorado has a number of beaver ponds, which themselves support a diversity of plants and animals—from birds to frogs. Nature's original engineer, the beaver is regarded as a keystone species (a small cog with an outsized impact and critical importance on the broader ecosystem), building dams that slow the water flow in rivers and streams. 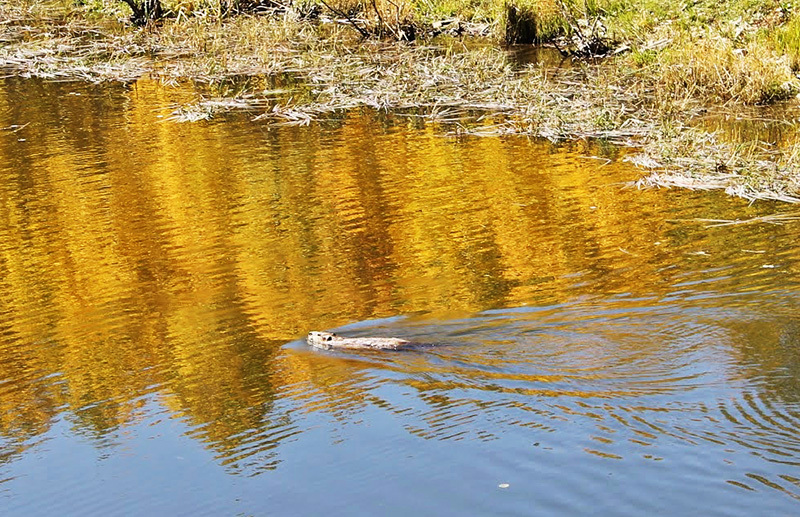 The resulting pond protects the entrance of the herbivorous beaver's home, simultaneously providing ideal habitat for a range of diverse wildlife—and allowing the pooled water to gradually seep into the ground and recharge aquifers. 4Hiker and long-time Sunset Roadless Area defender Jeremy Nichols of WildEarth Guardians holds the stump of a young aspen chewed down by a beaver. The height of the stump means the beaver probably cut down the tree when four or more feet of snow covered the ground. 5Hikers, backpackers and hunters can enjoy the sights and sounds of undisturbed nature along the remote and rugged Sunset Trail, which traverses the roadless area. 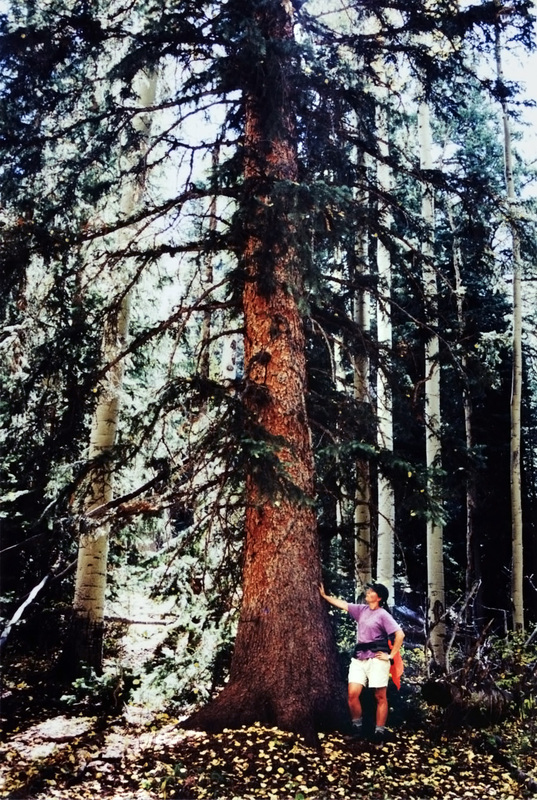 Aspen is the dominant tree here, but giant Engelmann spruce also poke through the forest canopy. Some of these spruce are probably centuries old. The view from the Deep Creek "slump," a prominent geologic feature of the Sunset Roadless Area. The landscape west of the roadless area is already pockmarked with methane venting well pads from the West Elk mine's existing operations. 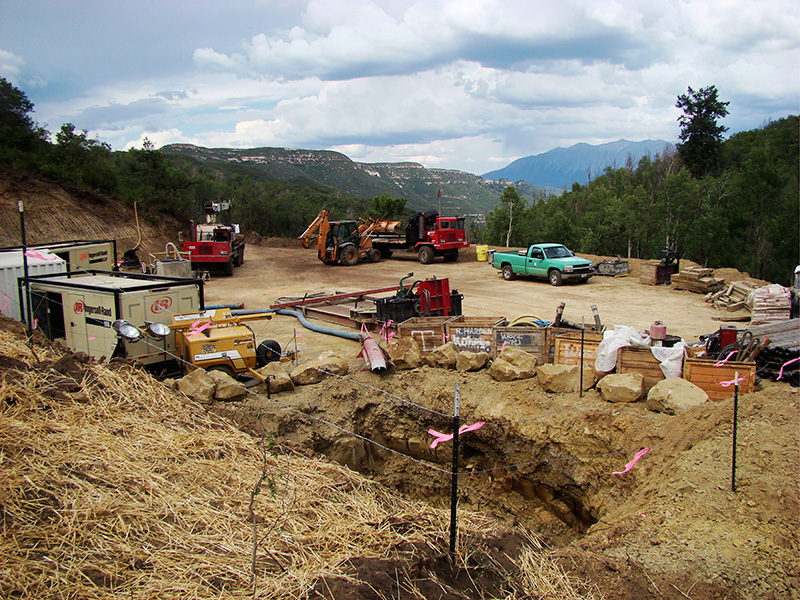 Construction of road and methane venting pad above West Elk coal mine. 6The Sunset Roadless Area's wildlife, scenic and recreation values were all put at risk in 2010 by a proposed expansion of Arch Coal's West Elk mine. Although the mine is underground, the coal seams are some of the gassiest in the nation—filled with methane. To get the coal safely, Arch Coal would drill wells above the mine to vent the methane gas into the air. Methane is not only natural gas, a valuable and useful product, but also a potent greenhouse gas with more than 25 times the heat trapping ability of carbon dioxide. Left in place, the coal and methane will not contribute to the planetary crisis of climate change—but leaving them alone is not what Arch Coal had in mind. Data shows that this single mine belches more climate pollution than all other underground coal mines in the entire state of Colorado put together. Both the Forest Service and BLM refused to require Arch to capture, burn or reduce any of the mine's methane pollution, or to simply say enough to the wasteful and inefficient practice. So Arch's proposed expansion—which would bulldoze more than six miles of road into the roadless area and scrape nearly 50 methane drainage wells—was a lose-lose proposition: gutting large swathes of the roadless area and causing needless climate pollution. Flagging tape identifies the location of a proposed coal exploration drilling pad. The forest visible in the photo would be bulldozed flat. 7On behalf of High Country Conservation Advocates, WildEarth Guardians and Sierra Club, Earthjustice fought to halt Arch Coal's plans to turn the Sunset Roadless Area into an industrial zone of well pads and roads. Earthjustice challenged the decision by the Forest Service and BLM to approve the mine expansion, arguing that the National Environmental Policy Act requires the agencies to take a hard look at the climate pollution that the mine expansion would unleash, and at the impacts bulldozing the area would have on recreation. In approving the mine expansion in 2012, the Forest Service and BLM had minutely accounted for the alleged economic benefits of the mine expansion—in terms of jobs, tax receipts and income. But when it came to one of the most obvious environmental impacts—climate pollution from coal mining and from burning the coal—the agencies had thrown up their hands. They claimed it was impossible to disclose the impacts of millions of tons of additional climate pollution although federal agencies have been assessing such costs in rulemakings for years. Our climate, and our Colorado backcountry, shouldn’t be sacrificed for coal. 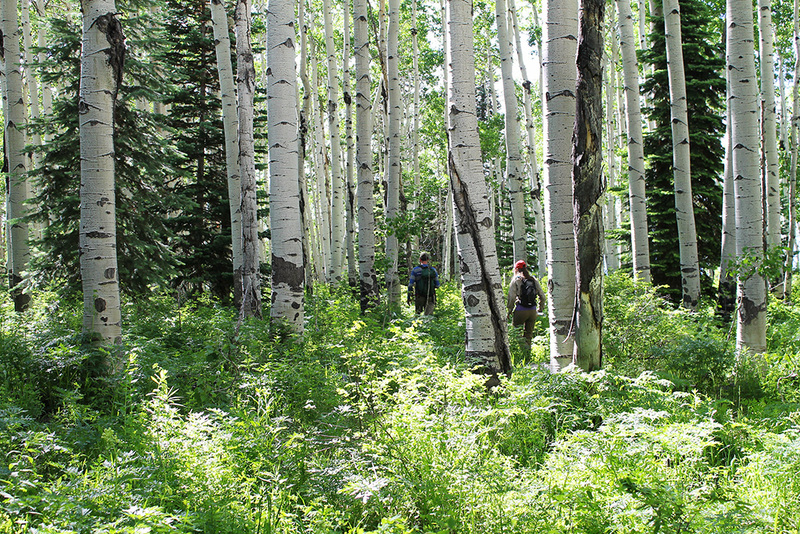 Hikers make their way through aspens in the Sunset Roadless Area. 8A bigger issue was at play in the lawsuit, too. The national Roadless Rule, adopted in 2001, generally prohibits road construction through roadless areas of national forest. 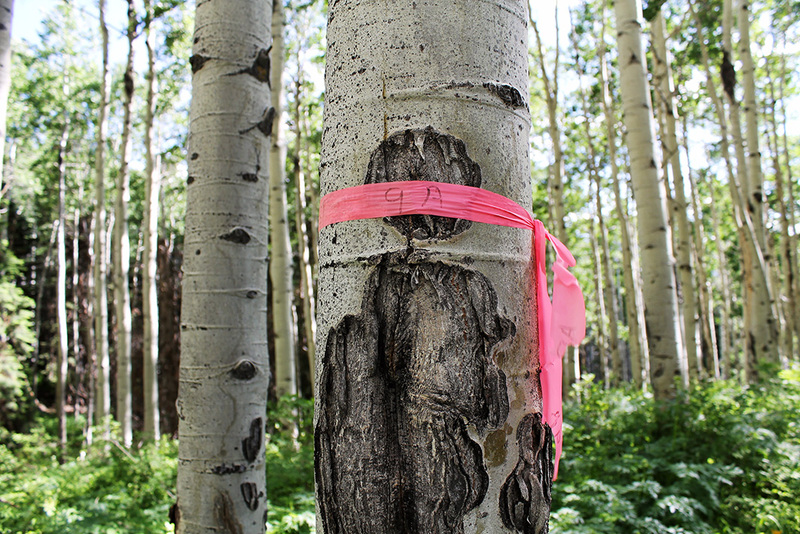 But the Forest Service in 2012 adopted a “special,” weaker rule for Colorado, which contained a loophole paving the way for road construction for coal mining in all of the Sunset Roadless Area—and several other nearby tracts of roadless forests. Earthjustice and conservation groups challenged this loophole, alleging that while the Forest Service looked at the benefits to coal mines of opening the door to 347 million tons of coal, the Forest Service ignored the climate costs of burning that coal, just as it had ignored the pollution from West Elk's mine expansion. 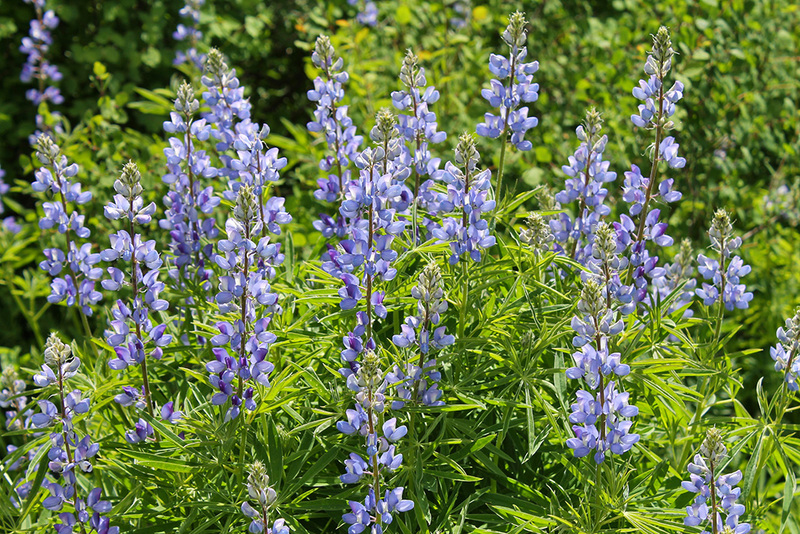 A riot of lupine in the Sunset Roadless Area. 9In June of 2014, U.S. District Court Judge R. Brooke Jackson ruled on Earthjustice's suit and overturned the coal mine expansion decision, finding that the Forest Service and BLM broke the law in approving Arch Coal's plans. In his ruling, Judge Jackson made clear that federal agencies approving the West Elk expansion can't bury their heads in the sand when analyzing the coal mine's climate pollution impacts. He saw through the agencies' sleight of hand in ignoring the impacts of climate pollution: "In effect the agency prepared half of a cost-benefit analysis, incorrectly claimed that it was impossible to quantify the costs, and then relied on the anticipated benefits to approve the project." 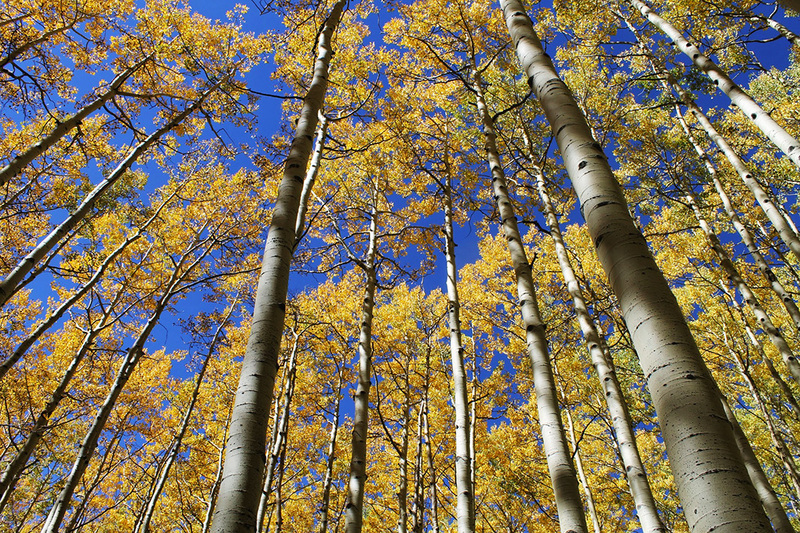 Aspens in the lease expansion area in Sunset Roadless Area. 10Judge Jackson went further. He also found that the Forest Service's analysis of the Colorado Roadless Rule's coal mine road construction loophole was also invalid for the same reason: the Forest Service ignored the loophole's climate impacts. Judge Jackson voided the loophole, protecting roadless lands beyond the Sunset area as well. 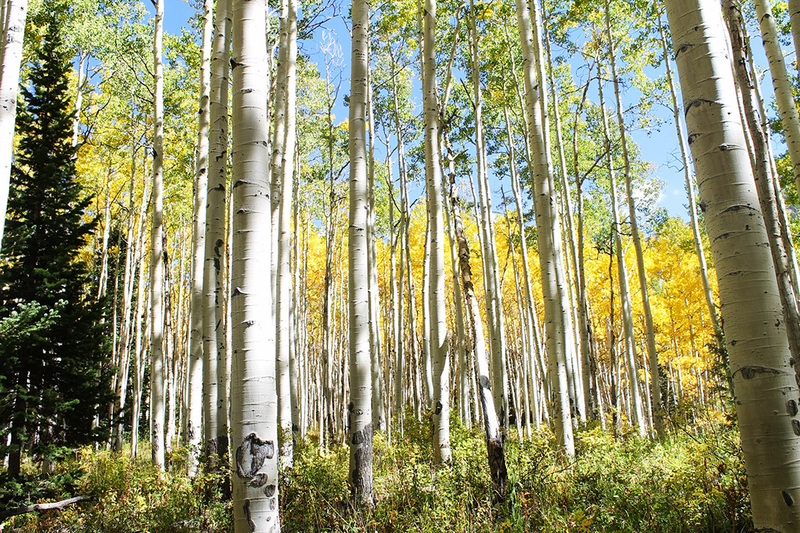 Aspens in the Sunset Roadless Area. 11The ruling shines a spotlight on a problem with coal mining across federal lands: the federal government's decision to ignore its own huge contribution to climate change. Hundreds of millions of tons of federal coal are mined every year across the West, but the agencies in charge almost never own up to the impacts that this climate pollution will have. Disclosing climate impacts needn't be complicated. Models and protocols have existed for years that project the harms from an additional ton of climate pollution to the economy, to agriculture, to property and to the environment. Fall colors frame a beaver pond and lodge in the Sunset Roadless Area. 12After a long fight in court, the Sunset Roadless Area was spared the Forest Service's systematic attempts to bulldoze through more than a thousand acres of pristine forest to facilitate Arch Coal's West Elk mine. It was a win for forests, a win for the climate—and a win for all of us. Arch Coal and the Forest Service may come back with a new proposal to bulldoze this wild wonderland. If they do, Earthjustice will be there. 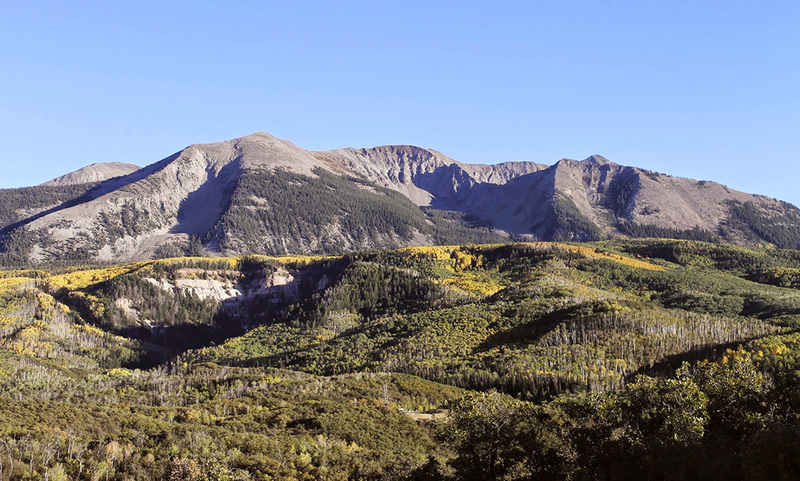 To learn more about Earthjustice's work to defend the Sunset Roadless Area, visit Protecting Colorado's Mountain Backcountry.